A daily newspaper has been fined £80,000 after admitting contempt of court over two articles relating to separate criminal proceedings. According to Scottish Legal News, the Daily Record pleaded guilty to contempt after publishing “severely prejudicial” details in the stories. One of the articles in question named the accused, known as ‘A’, and printed photographs of him, while referring to the defendant as a “gang boss” and “cocaine kingpin”. 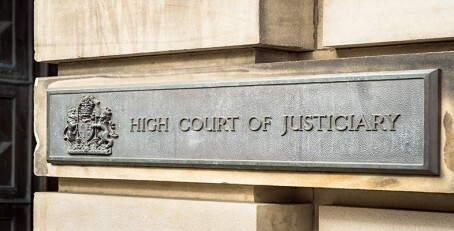 The High Court of Justiciary imposed the fine after the Record’s owners admitted that there was a “substantial risk” that the course of justice in the cases in question were “seriously impeded or prejudiced”. She said: “The article contained details of the allegations against him that may form part of the evidence at any future trial. In addition, it revealed detailed information about his criminal history, including previous convictions and prison sentences. “In the ‘A’ case, the article is one which in our view carries a severely prejudicial risk to the course of justice. “The clear implication of the article is that ‘A’ is a dangerous, violent criminal, involved in serious violent crime, including gun crime, and organised crime. The judge went on: “In the ‘B’ case, the editor was warned by the solicitor engaged for advice, that publication of the photograph carried a risk of contempt but nevertheless proceeded to run that risk. HTFP has asked Reach, the Record’s owner, for a comment. I am anticipating a full explanation from Reach about this appalling lack of professionalism, hardly calculated to inspire confidence in the regional press at the most difficult period in its history. Shocking! Failure to grasp one of the most basic tenets of journalism. Astonishing, but perhaps we shouldn’t be all that surprised. Surely the “suits” within Reach will react and take action? Prior to the takeover of the media by the internet is the future of the world brigade, even a reasonably sensible junior reporter would have realised the awful consequences of these articles. But let’s at least hear from a senior person in the company about why this happened and what action they are taking to ensure nothing as awful happens again. And I gave a double interest – I’m also a shareholder in the company! Even in the current climate of lower standards it is truly astonishing that so many mistakes were made. Who took the decision to publish? Was there a lack of experience? No doubt the paper’s readers will be told. Agree with Observer50. A senior figure in Reach, possibly even the chief executive, must give an account of what happened and the measures being implemented to prevent a repetition. Time for the transparency journalists demand from others to be exhibited by a news company that many trust on accuracy and fairness. This needs to happen today. The Record was probably lucky to get away with only an £80,000 fine. But why, in the case of ‘B’, is Facebook able to get away scot-free (no pun intended) with publishing the arrest photo and the mother’s comment? Surely (as Tommy Robinson found out), contempt is contempt, no matter where or how the offending matter is published. There are few occasions where words fail me. But words fail me. It is now approaching 4pm and HTFP is being tardy by not having published Reach’s apologia yet. The seriousness of the “errors” demands an immediate explanation and a full statement of the measures implemented to prevent a repetition. Also, what disciplinary procedures have been undertaken against those responsible, presumably the regional MD and editor. Transparency and openness was promised by Simon Fox? Where is it! David Sharman has tackled this story with his customary aplomb but it’s obvious Reach has no intention of making a statement, hoping the story will fade. Could David or a colleague keep us posted on how the company deals with the issue, any public pronouncements etc. Thanks. Simply blundering awful, probably partly due to cuts, maybe?? Would be interesting to hear background explanation. Why all the fuss? £80,000 plus an arm and a leg in legal fees… no problem! Just sack a handful more journos and it’s covered.